At first, you need to open the secret service menu. For instructions, see the following post: Opening the service menu on the Samsung Galaxy S5 Mini. In the middle you can see a tile which is named "sensor". 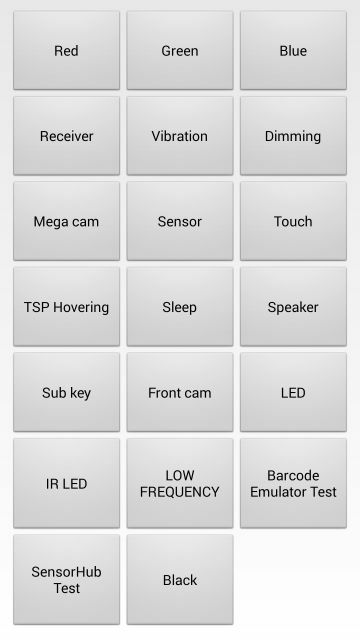 Tap on the tile to open the sensor information page of your Samsung Galaxy S5 Mini. Scroll down a bit until you see "Magnetic Sensor". In a black circle, you can now see if the compass of the Samsung Galaxy Mini S5 needs to be calibrated or not. Turn the Samsung Galaxy Mini S5 around all of its axes until the red linein the black circle changes color from red to blue. You can also run through a motion that follows the shape of an 8. It may be that several attempts are needed to calibrate the compass on the Samsung Galaxy S5 Mini. You can then use the compass feature of the Samsung Galaxy Mini S5 correctly again.